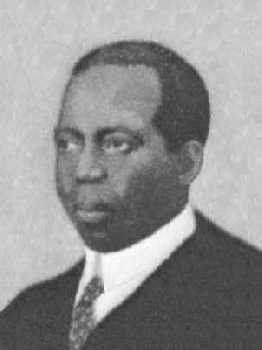 Scott Joplin, the "King of Ragtime" music, was born near Linden, Texas on November 24, 1868. He moved with his family to Texarkana at the age of about seven. After several years as an itinerant pianist playing in saloons and brothels throughout the Midwest, he settled in St. Louis about 1890. There he studied and led in the development of a music genre now known as ragtime--a unique blend of European classical styles combined with African American harmony and rhythm. In 1893, Joplin played in sporting areas adjacent to the Colombian Exposition in Chicago, and the following year moved to Sedalia, Missouri. From there, he toured with his eight-member Texas Medley Quartette as far east as Syracuse, New York. One of his first compositions, The Great Crush Collision, was inspired by a spectacular railroad locomotive crash staged near Waco, Texas in September of 1896 (see Crash at Crush). Although Joplin's music was popular and he received modest royalties during his lifetime, he did not receive recognition as a serious composer for more than fifty years after his death. Then, in 1973, his music was featured in the motion picture, The Sting, which won and Academy Award for its film score. Three years later, in 1976, Joplin's opera Treemonisha won the coveted Pulitzer Prize.